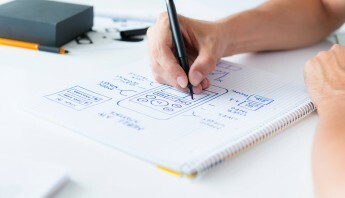 When designing an app, whether it be mobile or desktop, one of the most important processes is prototyping your app. 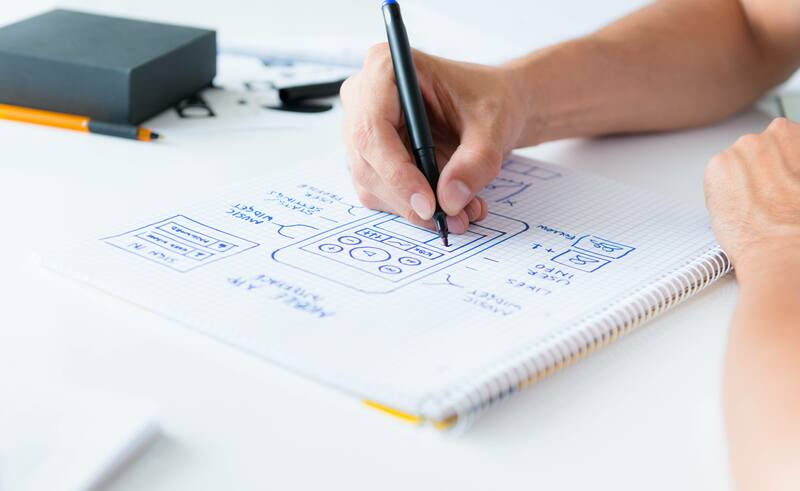 Prototyping allows you to see early on if your app works properly or not as well as examine possible weaknesses in its design and functionality. As a web developer, you want to make sure that the app will provide a smooth and unforgettable UX experience to your users. 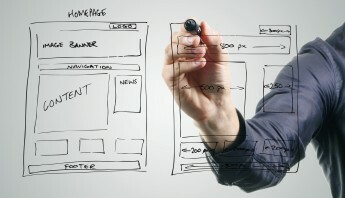 And the best way to do that, of course, is to use a prototyping tool to complete the process. The market is not lacking with these kinds of tools. From the most expensive and the most complex to the cheapest and the simplest, you have a wide range of choice for your needs. However, isn’t it amazing if you can find a prototyping tool that is simple yet powerful and, at the same time, comes with a reasonable price tag? That would be a real dream. What would you do if this wish can really become a reality with Mockplus? Mockplus is a new prototyping tool which is as powerful and cleaner than any other prototyping tools which have been around first in the market. As a newcomer, it has a number of outstanding features that would make any web developers’ job a breeze. But before we delve further into each specific features of this tool, we want to focus first on its two core characteristics – simple and powerful. Who would want a complex tool? An easy and simple tool saves you time getting acquainted with it. Such is the simplicity of Mockplus – it is code-free with a drag and drop option. Even as a designer or developer who knows how to code, such features will save you from worrying about codes getting messed up somewhere and going through each line one by one just to find where that errant code is. With its drag and drop option, it is easy to see where each component goes. Moreover, this option allows you to link pages and build interactive ones effortlessly. These also mean that even a novice can create a prototype with little or no training at all. It is almost improbable to think how anything simple can be as powerful. However, Mockplus developers are able to accomplish to put these two features together. 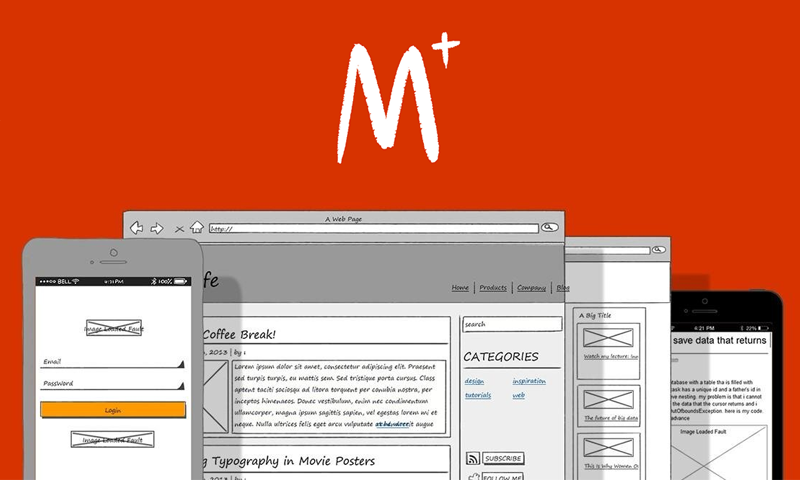 In terms of power, Mockplus is an all-in-one tool which allows you to create not only mobile apps, but web and desktop apps as well. This also lets you save money since you don’t have to use other tools to accomplish each purpose. The 200 prebuilt components allow you to create your prototype more efficiently and quickly. It also has more than 400 icons, which are more than enough to create a dynamic and agile prototype. With all these abundant components, the team behind Mockplus is planning to add more. If you are more comfortable creating your prototype by hand, Mockplus has a Sketch Style feature which allows you to create hand-drawn components. 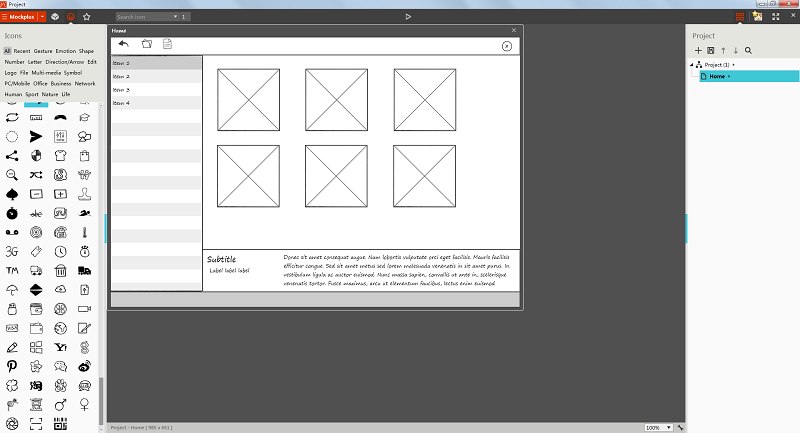 It controls and keeps all lines as you draw them preserving the sketch quality of each component. How difficult is it to create an app page? Mockplus makes it easy for you to create an app page through its TopBar+List+BottomBar feature and the New-component adjustable settings. The TopBar+List+BottomBar feature also allows you to set any component as a markup or add a markup to your prototype. Mockplus makes team collaboration much easier as well. One outstanding feature in this area is the Group Feature which allows you to share your prototype even without a USB cable or remote publishing. All you need to do is save and send it from your mobile phone to your client’s or team members’ mobile phone. Voila! They will be able to view it instantly. Another feature that encourages easy shareability and collaboration is the Simplified Mockplus export option which lets you send your design easily to HTML or images. The Group Feature allows you to put together several components and place them in one unified and customized component. If you want to separate each component again, the feature allows you to edit and un-group them. 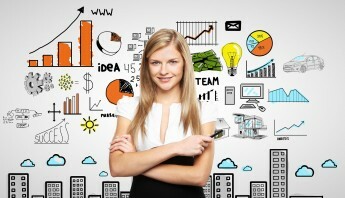 Moreover, the easy access page and component libraries increase your productivity. If you still have questions or encounter difficulties with Mockplus, it has a very helpful and comprehensive tutorial section which give you a walkthrough how to further utilize Mockplus features. The tutorials are either in video or text formats. Some of the topics discussed in the tutorials include using shortcuts to add components, creating interactive pages by setting links, creating a longer page for a mobile app, and many more. For mobile app development, Mockplus supports preview on mobile phones by scanning the QR code. This feature allows you to check the real user experience of your app design. Aside from the mentioned features, Mockplus also has an automatic project backup feature. As the name suggests, it enables you to automatically save your project eliminating the hassle of saving each phase or step of your project. Mockplus also allows you to copy data between projects. This saves you time and removes the worry of having to wait until everything is done. For a newcomer, Mockplus gives other prototyping tools a run for their money with its features that encourage productivity, speed, ad efficiency without all the complexities. However, the real juice can be found in the dynamism of the tool. Aside from a large number of components already included in the tool, the library is still expanding and growing. Soon, a new 2.1 version will be released with twice the power as the original. With this new version, expect an increase in the functionalities of interactions, such as the window pops, slider images, context switching, rolling interface, and more. Mockplus provides all these dynamic features at a reasonable cost. In fact, compared to other prototyping tools in the market, Mockplus is considered cheaper in terms of features and functionality. Such characteristics are very important to small and medium enterprises who have a limited budget but want a dynamic mock-up design tool for agile development. The team, Jongde Software LLC., which develops Mockplus is really a sunrise startup company that deserves all your attention and interest. They have made a huge success in mainland China and get widely praise from all of its Chinese users. However, that is not enough. Now in the international community, they have the confidence to gain the acceptance from international users. We deeply believe they will definitely get their place here sooner or later. Download the Trial Version of Mockplus now and experience the simple yet powerful features of the tool. 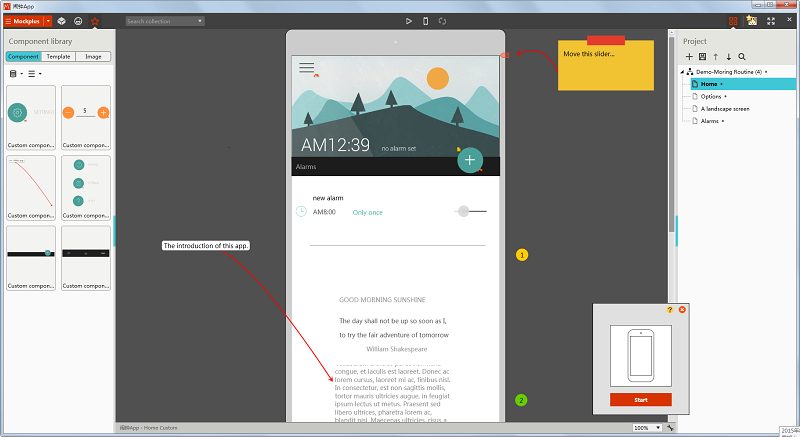 The Trial Version allows you to use the All-in-One tool and start creating mobile, web, and desktop app prototypes.